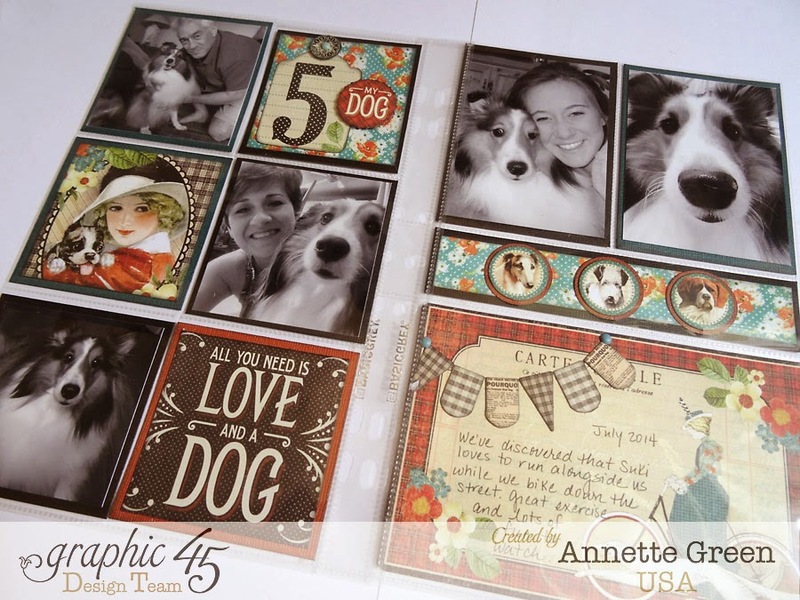 Annette's Creative Journey: Super Speedy Scrapbooking - Now that's my style! Hello and Happy Labor Day everyone! I'm returning from a cruise today and then joining the family for a cook-out. I hope you have something fun and relaxing planned too. But first, be sure to check out the Graphic 45 blog today as I share my super speedy pocket-style scrapbook layouts of our precious dog Suki. I use the new Raining Cats & Dogs ephemera pack, a few photos, and some pocket pages to whip up these fun and easy pages. They came together in a jiffy. I have a short video tutorial there too, plus Andrew is sharing his Good Ol' Sport pocket style scrapbook layout, so you're sure to be inspired. Don't miss it!